The term “arthritis” simply means inflammation of a joint. When doctors talk about arthritis in general, they are talking about degeneration of the joints, which can be a result of age, overuse, or injury. Basically, the smooth cartilage surfaces of the bones that allow gliding without any friction become rough and cause friction with motion. This leads to pain, swelling, stiffness, and loss of function of the affected joint. Some people have generalized arthritis, whereas others have arthritis limited to one or a few joints. 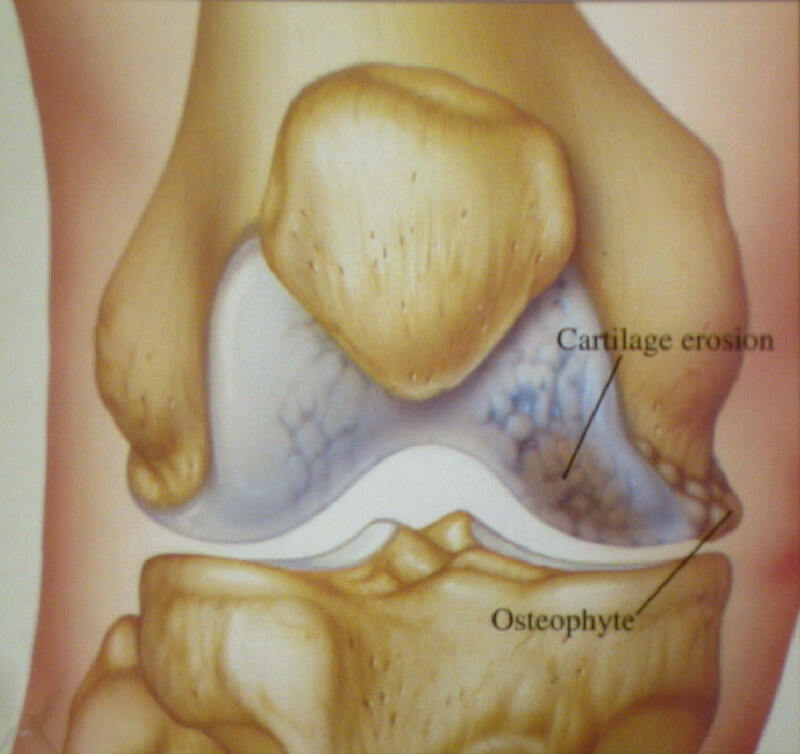 This wear and tear form of arthritis is referred to as osteoarthritis, or degenerative joint disease. This is by far the most common form of arthritis. Other types of arthritis are grouped together under the term "inflammatory." An example of this type of arthritis is rheumatoid arthritis. This is a body-wide disease process in which the immune system starts attacking various joints throughout the body. Going unchecked, inflammatory arthritis conditions like rheumatoid arthritis can destroy joints and lead to significant disability. The primary approach to treating osteoarthritis is with anti-inflammatory medications, therapy, activity modification, occasional bracing, and surgical intervention, when necessary. Rheumatoid arthritis, on the other hand, is primarily treated by powerful medications designed to control the body’s immune attack against itself. Sometimes surgery is also indicated to help particularly problematic joints in someone with rheumatoid arthritis. 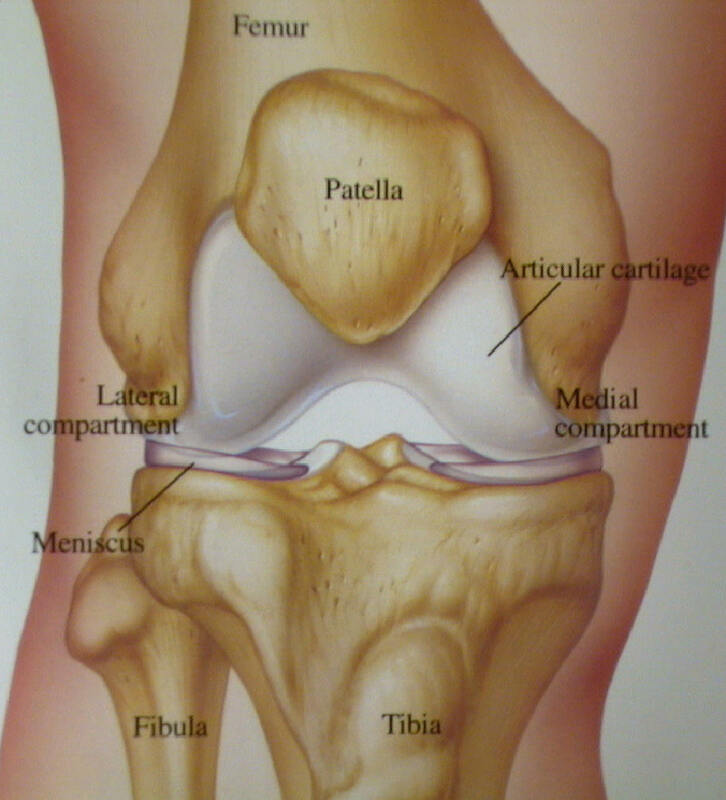 A drawing of a normal knee joint is presented below. The surfaces of the bones that glide past each other are covered with a thick layer of ultra-smooth articular cartilage. Similar knee drawing representing moderate osteoarthritis, primarily involving the medial (inside) compartment. Notice that the smooth articular cartilage surface of the femur (thigh bone) has become rough due to the development of fissures and erosion. Osteophytes (bone spurs) may also develop.